Perhaps the first big gamble of Murray’s career, “Rushmore,” which marked the start of many collaborations with Wes Anderson, found the actor leaving the mainstream comedy world he had dominated for two decades and entering the strange and dark laughs of Anderson’s idiosyncratic voice. As Herman Blume, a rich industrialist who strikes up a friendship with the coolest nerd ever, played by Jason Schwartzman, Murray is a delight as his character’s reawakening for life and love reveals layers of rich comedy and sensitive character drama. The role is the one many pinpoint as the turning point of Murray’s career, and he makes a bold and unforgettable indie debut that would solidify his next decade in the business. Most lists ranking the best performances of Murray’s career will have his turn as Bob Harris in Sofia Coppola’s moving and melancholy “Lost in Translation” at the very top. While Murray was beginning to experiment with his dramatic side at this point, “Lost in Translation” is when he truly cashed all in on the profound and downtrodden pathos he’s able to mine from a single look. The film follows the unlikely friendship between two Americans stuck in Tokyo: Bob (Murray) is an aging movie star making some quick cash by appearing in whiskey ads, and Charlotte (Scarlett Johansson) is a recent college grad confused about her life plan and mostly ignored by her photographer husband. Jet-lagged, confused and lonely, Bob and Charlotte meet in the bar of the hotel where they’re staying and strike up a bond. It’s an unassuming relationship that grows increasingly intimate, charted with proper confusion, pain and excitement by Murray’s tremendous performance. One of Murray’s most rewarding indie experiments, Aaron Schneider’s winning debut “Get Low” tells a peculiar tall tale about a hermit (Robert DuVall) who shows up at a funeral parlor with a wad of cash and requests his own funeral party. 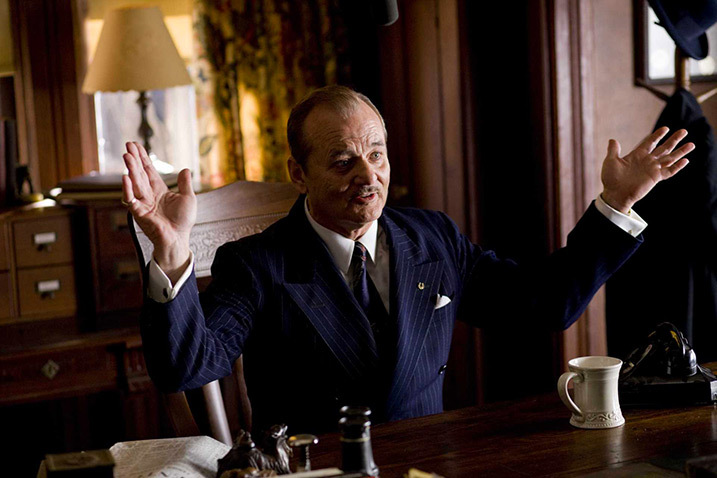 Murray plays the parlor’s charismatic and confused owner, who can’t pass up a financial gain even if it means going along with the hermit’s bizarre scheme. DuVall is clearly the heart of the film as the true shades of his character are revealed, but Murray is a masterful supporting player here, effortlessly landing his dry comedy chops to become a stand-in for the viewer in this weird and wacky fable. 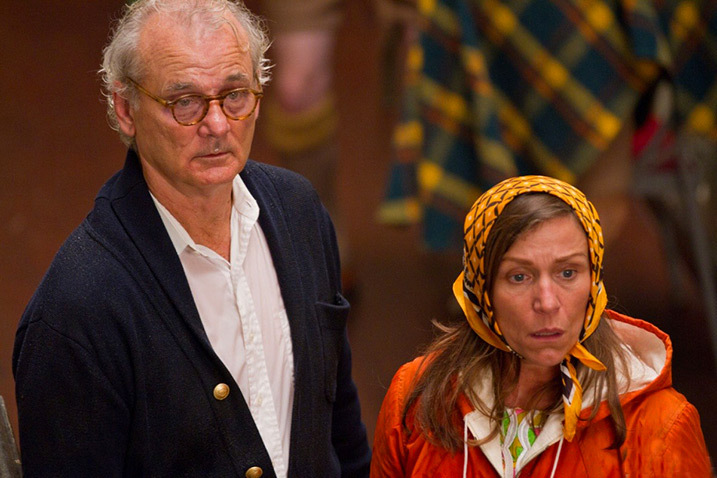 A great Murray performance in a Wes Anderson movie is hardly a surprise at this point, yet the actor still managed to reveal new layers of himself with perhaps his most bleak work ever in “Moonrise Kingdom.” Anderson’s nostalgic love letter to childhood romance, “Kingdom” is more involved with the lives of its kids than it is with their parents, but the adults play a crucial role in spelling out just how wicked and rotten the world (and love, for that matter) can make you. As the unhappy father of Kara Hayward’s Suzy Bishop, Murray is a painfully depressed figure, so unhappy that he allows us to see why his daughter is so emotionally troubled. A crucial scene in which Murray and his on-screen wife (Frances McDormand) say goodnight to one another might be the most crippling couple of seconds in Murray’s entire career.